We had a week or so to kill before the RV park reservation in the Bay Area and we decided to try to not pay for camping until then. 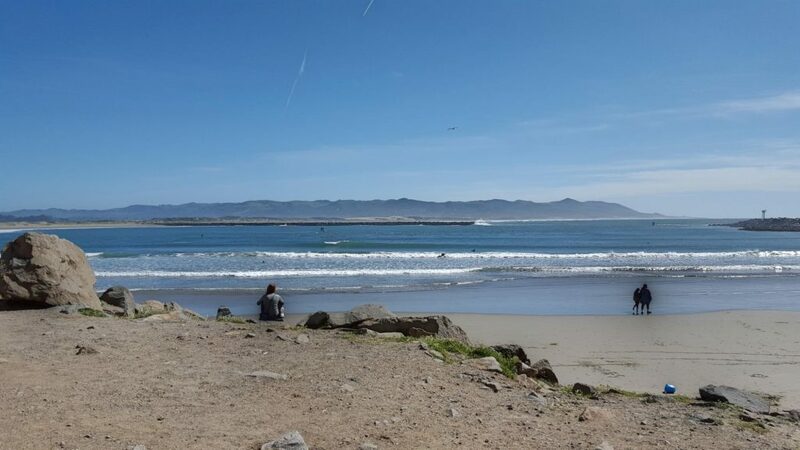 As we made the colorful drive up the coast and made out our plans, we had some wondrous thoughts of boondocking on the beach along the way. Turns out that regardless of your rigs capability it just isn’t that easy. 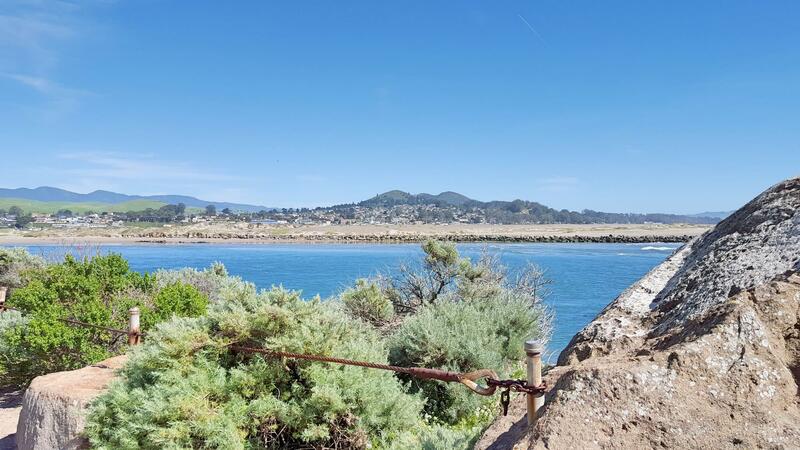 We hadn’t made reservations for State Parks and some of the private ones that may have had some availability with decent access to the coast were astronomically priced and just a packed RV park that is inland and still a drive away from anything cool. I realize that a lot of people just spend nights in Wal-Mart parking lots but I don’t even like the five minutes I have to spend in the Wal-Mart parking lot when I have to buy RV toilet paper. Spending an entire night there sounds like lunacy. We had previously joined two different clubs that cater to RV travelers looking for alternative types of overnight stays at business. One is called the RV Golf Club and the other is called Harvest Hosts. The basic premise is the same for both. For a yearly membership fee you get access to a network of “host” business that allow one or two nights of free, usually no hook -up, dry camping, as available and in a designated area of the business. In exchange the RV traveler typically patronizes the business although no minimum spending amount is required. 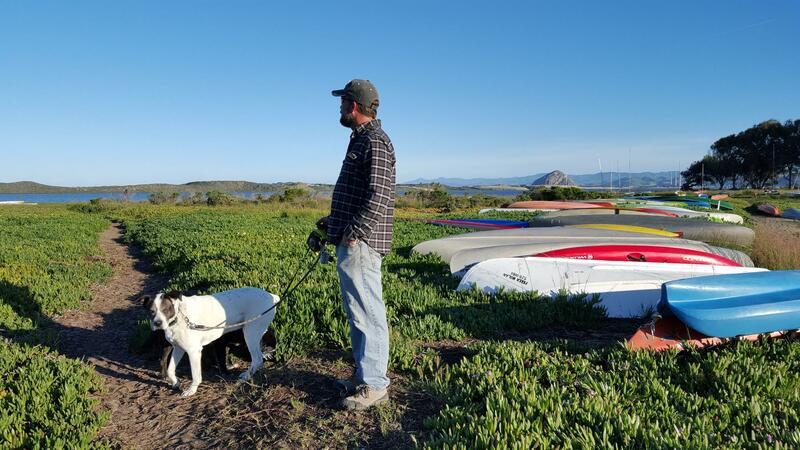 Obviously, the RV Golf Club is mostly golf courses but Harvest Hosts has a number of different business including farms, wineries and agri-tourism sites that they are associated with. For this area in California it is primarily wineries. Using these two networks to make our way north sounded like a great plan and we were determined to at least get our memberships fees worth. Since I was preparing for a golf trip, we decided our first stop should be with the RV Golf Club and it was a great first experience with this program. You always call ahead and make arrangements with the business up front. We arrived at a beautiful golf course around 4:30 pm and parked in the end of the lot where they had told us to. It was late enough that the parking lot was largely empty and we marveled about how much other people were paying for RV spots a few miles away where the only view out the window is another giant RV with yappy dog or screaming child. Our views and setting were a little better! Robin wasn’t really feeling the golf and it was likely too late for a round anyway but I eagerly gathered up my clubs and set out to hit a bucket of balls at the driving range. I was temporarily disappointed to find that the driving range had closed early on this particular day for maintenance. My disappointment quickly dissipated as I spotted the sign for the “Super Twilight” 9 hole walking rate of $9. I inquired with the pro shop attendant about how long it stays light here, did some quick calculations and assessed how crowded the course was. I then sent a quick message to the wife to let her know I wouldn’t be home for dinner and I was off to my happy place. 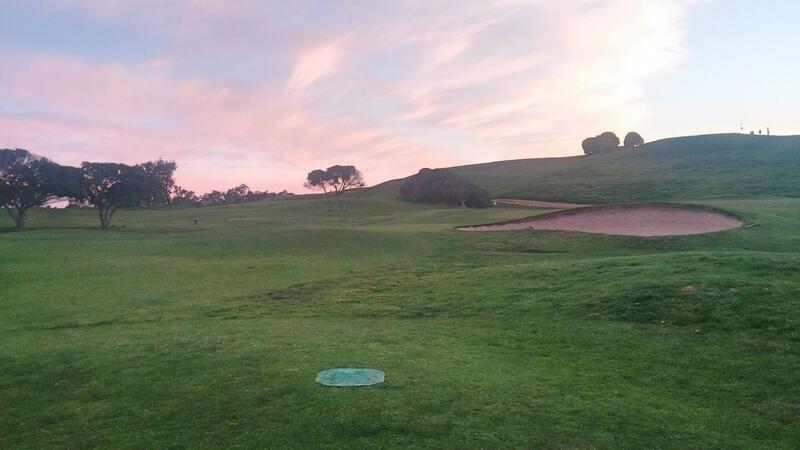 I walked 9 holes at pre-dusk in the amount of time it typically takes to play 3 on a crowed weekend and it was a delight. I got back to my golf course parking lot home as the sun set. I showered, ate some dinner Robin saved for me and joined her with a cold beer from the fridge to watch some shows we had recorded on the DVR. We also spent a little time thinking and talking about what a damn cool life we live! 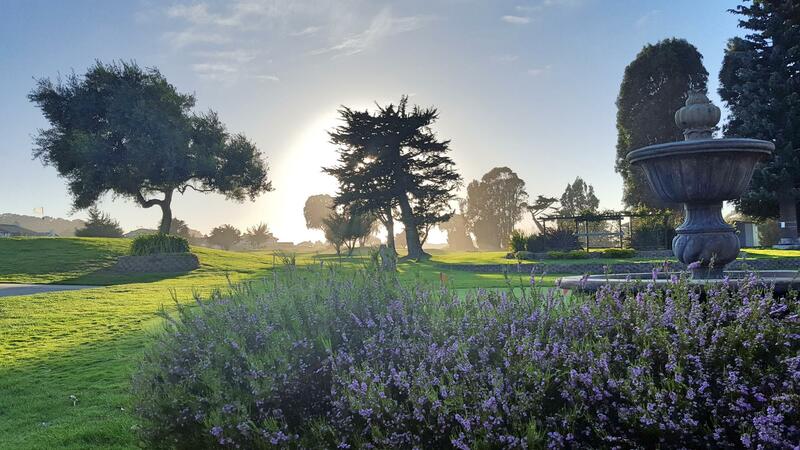 After a quiet and restful nights sleep we were awakened before sunrise by the sound of lawn mowers. No problem for us we are early risers anyway. We walked the dogs buttoned up the camper, grabbed a couple of breakfast burritos from the clubhouse and headed to our next stop that was not too terribly far down the road. It was another golf course. This course was in a beautiful area but upon arrival we found that the only realistic space they had available for us was actually just the street outside the course. We were hesitant but the course insisted it was fine with them and that others have done it and they even encouraged us to stay two nights if we wanted. Although we could only put out the curbside slide on the RV, because the price was right and because we wanted to see the area, we took them up on the offer. 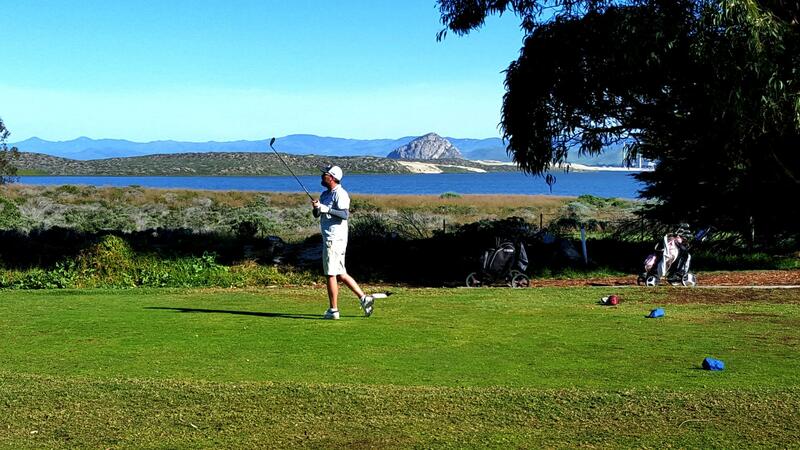 We played the golf course, ate at the restaurant and explored the area of Morrow Bay a little. We also got paid a surprise visit from the Sherrif who very politely informed us and the business host that we weren’t technically allowed to be parked on the street for overnights but it would be fine as long as we don’t dump our tanks in the sewer. We assured him that we have over 100 gallons of waste water tanks on board and that we had no need or intention to dump. A little awkward and embarrassing but then again we had long ago decided we were fine being the kind of people that live on the side of the road and besides, who cares, we were leaving anyway. So far I guess I would say our experience with the RV golf club has been somewhat mixed but we are eager to give it another try. I do think we have determined a few things for this club. I don’t necessarily think that this program would be all that good for non-golfers looking for overnights while traveling. 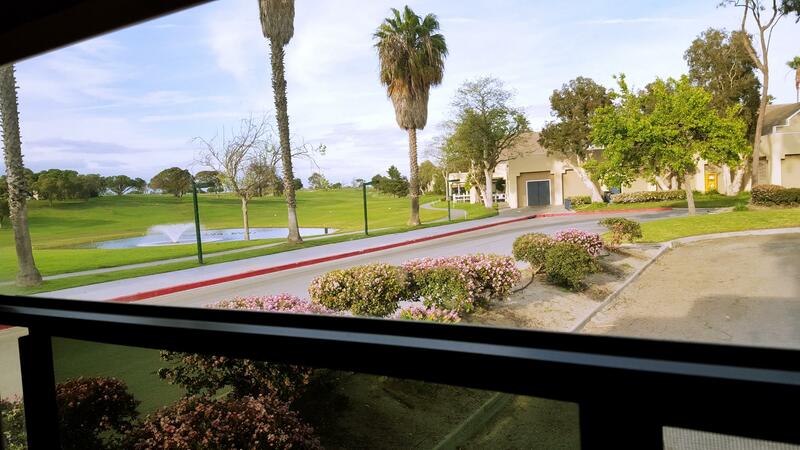 You really need to make sure to contact the golf course host up front to verify availability and to discuss what type of parking they have available. It is probably always a good idea to also have google maps satellite view open while they describe where you should park and how to get there. We also had called a couple of the host parks that had no idea about the program so that can be frustrating as you then have to get a hold of the manager or main contact which is tough if you are enroute and looking for a stopover. 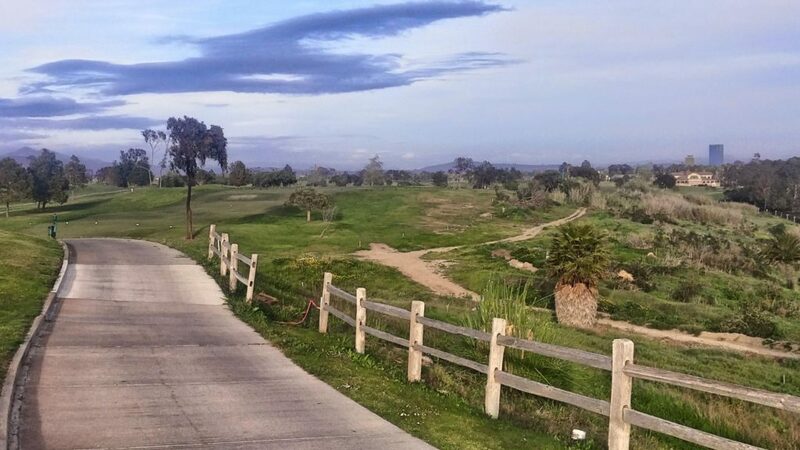 With that said, if you are a golfer and you know of a golf course that you want to play, and make the arrangements up front this can be a very unique and fun RV experience. You can show up at the park early, play the course, eat at the bar/restaurant and spend an evening in beautiful campground that empties out at dusk. There are actually some really nice courses on the list and I can’t wait to give this membership another go. The other thing I like about this club is the environmental considerations. Being golf junkies and self proclaimed tiny house environmentally conscious people, playing a sport like golf can be a challenge. 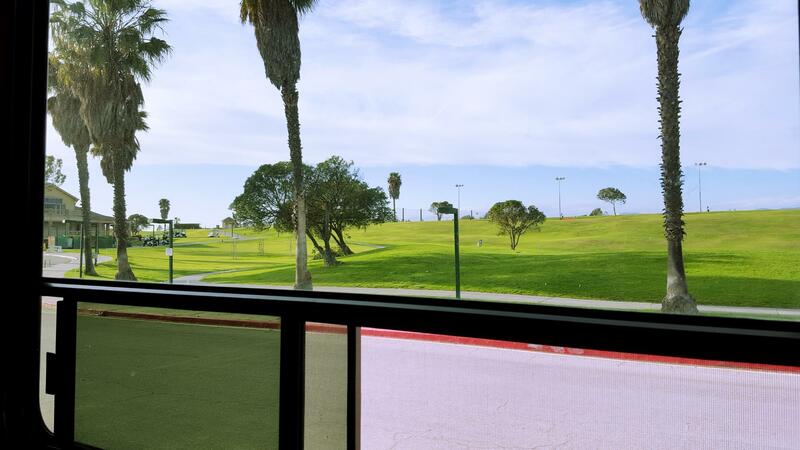 I can think of no better offset for our habit than to spend the night after a round of golf in our solar powered house on wheels in the parking lot of the course instead of driving an SUV home to a giant house and yard we no longer have the need to own. 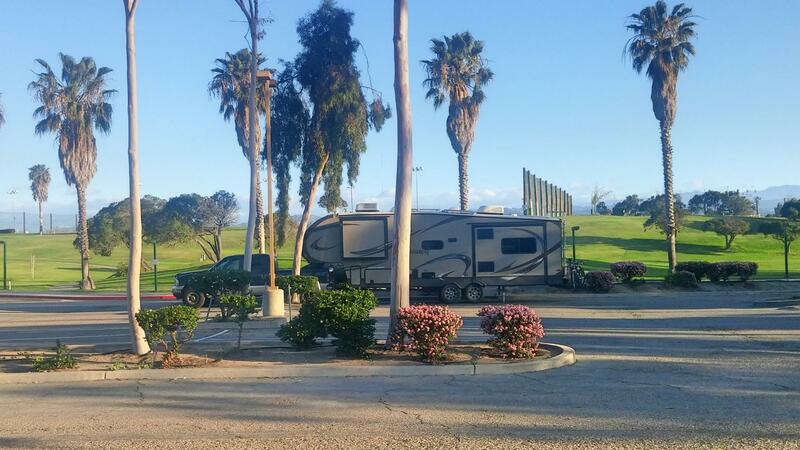 I would also mention that there are also actual RV parks sprinkled in amongst the golf courses that are part of the RV Golf club. We were able to take advantage of two nights at a relatively expensive RV park for a heavily discounted rate using this membership. I think this really helps to offset the relatively high membership cost of $100 compared to the Harvest Hosts which is less than half of that. 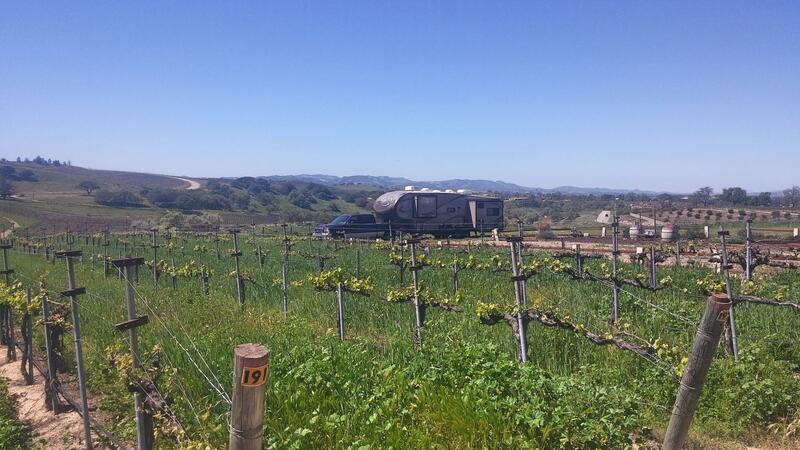 Upon leaving the coast we decided that our next stop would be a budding young wine region in Paso Robles, California. We had read great things and so we set our sights on this town and on using our Harvest Hosts Memberships. Well we had such a great Harvest Hosts experience that we decided a second dedicated blog would be in order. Stay tuned for part two! 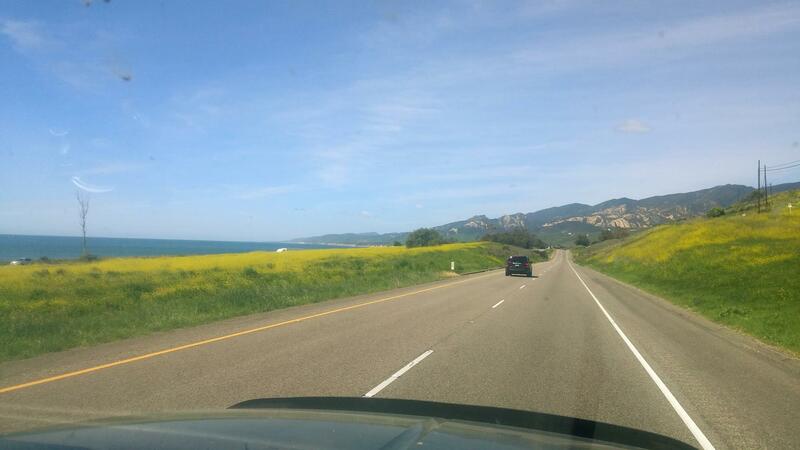 This entry was posted in California, golf, Jeremy Blog, Live, Move, Uncategorized and tagged harvest hosts, rv club, rv golf club, rv membership. Bookmark the permalink. You know it was me that called the sheriff, right? 😉 I’m glad you guys stopped in Morro Bay even though you didn’t make it out to our girls night. See you down the road!